The idea of a framework for the education and training of literary translators was born in 2008, when a joint initiative of the Dutch (NLF) and Flemish (VFL) Literary Funds, The Expertise Centre for Literary Translation (ELV, Utrecht-Louvain) and the Dutch Language Union (NTU) published a pamphlet ‘for preserving a flourishing translation culture’ in the Dutch language area. The pamphlet contained a thorough exploration of the situation of literary translation in general and of the rather difficult situation of education and training in literary translation in the Netherlands and Flanders. It contained a strong appeal to create systems of life-long learning in which academic programmes and initiatives outside academia would work together in a flexible way. These ideas were presented and discussed at the PETRA Conference in Brussels in December 2011. The Dutch-Flemish analysis of the situation turned out to be more or less applicable to many other European countries. The section about ‘Education and Training’ made some recommendations, the second of which stated:It is recommended to start a discussion on promising, long-term structures for the education and training of literary translators at a European level. This involves the exchange and cooperation between academic and non-academic institutions on the contents of training, on practical issues and methods of teaching. A representative working group should work out a proposal based on already existing initiatives. One of the items on the agenda could be the development of a learning line for literary translators with a distinct sequence of steps from beginners to professional translators, including the training of translators willing to transfer their knowledge and skills.The organizers of the PETRA Conference asked the ELV to implement the recommendations on education of the PETRA Conference. Eventually, it was the Dutch Language Union together with Utrecht University, the University of Leuven and five European partners (CEATL, Deutscher Übersetzerfonds, ELTE University Budapest, BCLT University of East Anglia, Fondazione Universitaria San Pellegrino [deletions: Utrecht, Leuven, Language Union]) [deletion] who applied for an Erasmus+ grant, which was awarded. The plan was to establish a framework that would offer a systematic overview of all skills and knowledge a literary translator is supposed to have. At the same time, the framework would offer an instrument to benchmark the existing programmes, individual courses and workshops. Not least it would represent an orientation tool for the career of literary translators to determine their competence level. One of the major aims of the framework was to provide a basis for a smoother cooperation between the many non-academic training initiatives and the academic institutions for literary translation, given the fact that for several years now master’s programmes in literary translation had been emerging all over Europe. To overcome ancient boundaries (like those between practitioners and theorists) and new tensions (between academic and non-academic approaches) a shared basic concept had to be found. There was and is a broad agreement on the fact that literary translation requires a great deal of specific knowledge (languages, literary history, literary system, cultural differences etc.) and even more specific skills (text analysis, transfer techniques, problem solving, searching techniques etc.). Moreover a literary translator must be able to play her/his role in the literary field as well as in the professional field (publishers, funds etc). This combination of knowledge, skills and attitudes matches perfectly the definition of what in didactic contexts is called ‘competence’. A competence is a constellation of proven knowledge, skills and attitudes. The concept of competence was ideal to start with, because one of the basic assumptions behind it consists in the fact that it doesn’t matter where or how you acquire these competences. It is basically of no importance whether you acquire them by imitating an experienced translator, by completing a university programme or by following occasional workshops. In the end you have to prove that you made the acquired competences your own. In this sense the competence model is a challenge for every method and school. The definition of the concept of ‘competence’ already contains three clear distinctions between knowledge, skills and attitudes. As a consequence the definition is an invitation to a precise analysis of what kind of knowledge, which skills and which attitudes a competent literary translator should call her / his own. Of course this is a matter to be decided on in a consensual manner, and that is what happened during the several meetings of the PETRA-E-project. From the conceptual point of view, a learning line comprising a comprehensive overview of all kinds of knowledge, skills and attitudes of a literary translator would be the analytical representation of the all-too-synthetic concept of a ‘literary translator’. Instead of taking an a priori image of ‘the literary translator’ as a starting point, a competence-based model distinguishes the separate parts that in a process of training and education lead to a competent literary translator. A competence-based model is by its nature critical of assumptions of natural talent. Also someone with a natural talent will have to prove that the assumption was legitimate in the end. The analytic character of the model doesn’t stop with the distinction between knowledge, skills and attitudes. 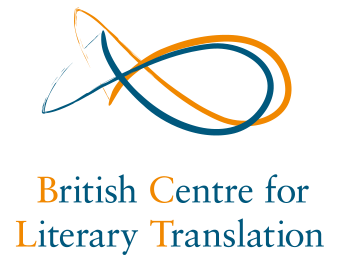 As was just said, the synthetic competence ‘literary translation competence’ is a constellation of several partial competences or subcompetences that together make up the ‘literary translation competence’. The number of subcompetences, however, is fundamentally open; it is always possible to add new ones or to skip existing ones, if it appears to be necessary. Every subcompetence in turn has to be defined by descriptors. The number of descriptors is also open, but not limitless. Because on the one hand, the descriptors should cover what (in reality) is meant by the subcompetence in question, i.e. they should name the knowledge, skills and attitudes of which it is composed. On the other hand, for pragmatic reasons (especially evaluation, see below), the number and the formulation of the descriptors should be handled carefully and precisely. In order to be clear and precise, descriptors are normally formulated in so-called ‘can-do-statements’, e.g. : ‘Can analyze source texts’. The main source for the determination of the competences of a literary translator was, of course, the reality of literary translation. The analysis of what a ‘good’ literary translator knows, does and which attitudes she/he adopts made it possible to distinguish a number of competences. This work was to some extent comparable to the work of a systems analyst in IT. But also already existing competence models for general translation (technical, legal …) were a source of inspiration, especially the competence model of the European Master’s in Translation, and the model developed by the PACTE research group at the University of Barcelona (UAB). Both models have a circular structure with a central competence, e.g. the strategic competence in the PACTE-model. At the outset the PETRA-E model chose a linear structure to avoid any impression of hierarchy in the subcompetences. It should be stressed that the order of competences is not hierarchic. After having distinguished the eight competences, every single one had to be described by means of descriptors. As to the number of descriptors, the aim was to keep it as restricted as possible. Two criteria were used: 1. The descriptors should give a nearly full (not an ideal) definition of the competence, and 2. Later on every descriptor should be linked to ‘behavioural indicators’ in order to evaluate the level of acquisition of the competence. An increasing number of all-too-detailed descriptors would make the evaluation almost impossible. Moreover it would considerably limit the freedom of the users of the Framework. Therefore, descriptors should be formulated in a way that leaves room for interpretation. In order to maintain the highest possible degree of freedom in the application of the Framework, every descriptor should be formulated as clearly and generally as possible. A descriptor may not contain any preference for a certain theory or method. For example, the first descriptor of the transfer competence says: ‘can understand source texts’. It does not mention the theory or method according to which this understanding should take place. That belongs to the freedom of every user of the Framework. This is true for every descriptor. The very first draft of the Framework distinguished only 55 descriptors for the eight competences. In the course of the discussions during the meetings in Utrecht, Misano, Budapest and Antwerp, the number has risen to 127. This number gives an indication of the complexity of the job of a literary translator. But, on the other hand, it may also complicate the applicability of the Framework as a whole. Only then should students and trainees in literary translation all over Europe – no matter whether they learn their craft in an academic or non-academic institution, whether they learn it all by themselves or with the help of an experienced mentor – be able to orient themselves: where am I on my way to being a competent literary translator? By combining competences with a learning line the Petra-E-Framework goes beyond the competence model of EMT. By taking into consideration the question of evaluation it follows the path of PACTE (see below). But it also creates at least a double tension: First, there is a certain incompatibility between the concept of a learning line with several levels and the (in principle) dichotomic nature of a competence: either you have a competence or you don’t, either you are competent or are you are not. It is to some extent contradictory to speak about ‘a very competent person’ or being ‘halfway’ competent. Nevertheless in didactic contexts it may be useful to speak about a continuum of competence acquisition. Second, in a European context the distribution of descriptors over the several levels of competence may vary strongly from country to country, especially as regards the first two levels. The first tension can be solved by admitting that the learning line operates within a didactic context, and that the necessary level shifts can be legitimated by intermediate tests adapted to the single levels, known from the regular bachelor and master programmes. When it comes to competence evaluation, however, the competences should be considered as final competences. The second tension can be solved by referring to the flexibility and the openness of the Framework; it is no problem when some descriptors are moved to an earlier or later phase of the learning line. Talking about competences and learning levels presupposes a valid and reliable system of evaluation and assessment. The open and free character of the Framework should eventually be linked to an evaluation system that guarantees learners, wherever they learn their job, valid and reliable information about their competences. The implementation of such an evaluation system, however, could not be realized within the current project. It will be the object of a follow-up project. Translation competence nowadays is mostly determined by the quality of the products translators deliver. However, the basic problem consists in the fact that competences are properties of individual persons, not of (translation) products. On that point there is a clear difference between competence evaluation and product evaluation. However paradoxical this may sound, there is no proven link between the quality of a translation product and the competence of a translator. But also the reverse is true: it is not certain (but it may be hoped) that a competent translator will deliver a ‘good’ translation. The Framework in its present form has adopted a kind of evaluation by assumption: e.g., it assumes that someone can pass to Level 3 when she / he has a master’s degree in literary translation. Or it assumes that someone is an advanced translator when she/ he has published two literary translations. However, on the basis of these assumptions we can’t be sure that this student or translator has really acquired all the necessary competences. One of the reasons for that is that the competence of a learner in institutional contexts (universities, funds, publishing houses) is very often determined by the quality of the translation product. The question is, as we just said, whether the quality of a translation can be directly linked to the competence of a translator. A competence model, on the other hand, must rely on valid and reliable tests to prove that a competence is really acquired. In order to achieve that, every descriptor mentioned in the Framework should – ideally – be combined with perceptible ‘behavioural indicators’, which show that the required knowledge, skills and attitudes are really present. Ideally every descriptor should be tested by a valid and reliable test that shows that the knowledge, skills and attitudes of every individual learner match the ‘behavioural indicators’. In translation evaluation nowadays, subjective preferences, national traditions and items of aesthetic ideology can provoke a bias in the evaluation, certainly on a European level. It is not certain that competence-oriented testing can avoid all this, but at least it starts from the ambition to evaluate in a valid and reliable way. It is not certain either that such tests can be developed for the whole of the Framework. The PACTE research group, which has been concentrating on the development of valid and reliable tests for the competences of general translators, has not come up with convincing results up to now. But that is no reason to stay behind and give up the idea of real competence-oriented testing. A look at the descriptors that figure in the Framework now reveals that probably not all of them will be testable in a valid and reliable way. Some descriptors just indicate a certain situation (for example: ‘specializes in a certain genre’), that can be confirmed or denied by simple observation. The testability of other topics (for example: ‘optimal creative ability’, or ‘helps establish literary translation tradition’) is rather questionable. There is always a certain reluctance or even resistance when it comes to questions of evaluation and assessment. All too quickly evaluation is associated with imposing things, or with standardization. Of course, this cannot be the case. On the other hand the openness and flexibility of the Framework must not be confused with arbitrariness. In order for the Framework to be a flexible instrument of orientation and comparison, valid and reliable testing is a big help, not a threat. The Framework is a practical, not a dogmatic tool. It is not meant to prescribe which way a translator should go to reach her/his goal, nor does it prescribe contents and didactic methods. It can be used as a swift tool for different applications. The Framework allows learners to easily determine which competences they have already acquired and which competences (or descriptors) they still have to work on. For them it is a tool for self-assessment. Moreover, the flexibility of the Framework allows learners to outline the pathway toward the type of translator they want to become, for example a more ‘practical’ translator or a more ‘research-oriented’ translator. The Framework can help to determine the competences that match the desired profile. For institutes offering programmes for literary translation the Framework is a handy tool for curriculum design. What kind of courses and content must be offered in order to educate competent literary translators on a certain level? For existing programmes the Framework offers an assessment tool: do all the courses in the programme contribute effectively to the education of competent literary translators? On a national and European scale the Framework offers a tool for the comparison of education and training programmes. This would allow learners to decide where to go for the further development of their knowledge and skills. If the Framework succeeds in developing a valid and reliable testing system, it could be used as a basis for the Europe-wide assessment of translation institutes. Every individual teacher can use the Framework as a diagnostic tool for her / his courses: what does the course offer, and on what level? What is missing? etc. In the end the Framework should help teachers and trainers to design better courses and workshops. From the point of view of providers of courses, workshops etc. Providers of courses and workshops can use the Framework to determine the level of competence they envisage: for example, if they organize a workshop for master’s students who want to become professional translators, the Framework can help to determine the specific skills needed on that level. The Framework can support networking between several institutes and providers of courses. It can help to discover complementarities between programmes. Probably no single institute will be able to offer all competences. The Framework helps to discover where a learner can find the competences missing in their home institute. Especially the online version of the Framework can (in principle) offer bibliographical references, tips for courses, exemplary tests, best practices etc. for every single descriptor. It can provide new ideas for didactic methods and training tools. The Framework can be used by translators in discussions or negotiations with publishers. It can help to make clear what kind of competences are needed to translate certain texts. The Framework may contribute to more professional visibility of literary translators and improve their economic position. The work on the Framework will probably never be finished. Once it has been applied in the several fields indicated above, new elements will come up and others already present will prove to be of lesser use. So a constant adaptation and refinement of the Framework will be desirable, if not necessary. Two things, however, seem to be more urgent, and for the Framework to succeed it would be helpful to develop them in the near future. First of all there is the development of the online version of the Framework. This offers a great many opportunities a printed version can’t offer. With a click on every descriptor some extra information about what is meant can be given. Also didactic tips, references to key works, dictionaries, articles etc. can be made visible for all language combinations. Of course this can only be developed in the course of the years to come. Second, the question of evaluation not being solved within the timeframe of the project: it would be desirable that a real competence-oriented evaluation system could be developed in a follow-up project. Dutch Language Union, Expertise Centre for Literary Translation a.o. (eds.). (2008). *Great Translation by the Way. A Pamphlet for Preserving a Flourishing Translation Culture. PETRA (ed.). (2012). Towards New Conditions for Literary Translation in Europe. The PETRA Recommendations. P. 14. CEN. (2006). EN 15038. Translation Services – Service Requirements, p. 5. See e.g. PACTE (2011) ‘Results of the Validation of the PACTE Translation Competence Model: Translation Project and Dynamic Translation Index’, in: O’Brien, Sharon (ed.) IATIS Yearbook 2010, London: Continuum. See Mariana Orozco and Amparo Hurtado Albir. (2002). ‘Measuring Translation Competence Acquisition’. In: Meta, XLVII, 3, p. 375-402.